Like you, over the last few weeks, I have seen and heard more about the Syrian refugees who are carrying what little they can in their hands and walking from country to country to find a home. Every time I see another newscast or photo online, the faces of Syrians fleeing for their lives get mingles into the faces of friends. See, while Syria may seem a million miles away to a lot of you, but for me, I’ve had quite a few touchpoints. I’ve known people from the Middle East since I was in high school and by college, I had met a few folks from the countries torn by war in that part of the world. Several years went by and Syria didn’t really hit my radar til I was living in Mississippi. Not only was one of the folks I work with from Turkey but his family was split by the borders as Turkey and Syria were drawn in their current versions. And I spent some time in the wake of Hurricane Katrina helping some of the family from Syria who had moved to the U.S. and become doctors consider various temporary housing options. I also reconnected with a college friend who had married a Syrian immigrant. So for the past couple of years, as tension grew in the area, I have been paying attention to what’s happening in Syria. I have had a particular eye on one city and the area surrounding it as Aleppo was the connection point for the various people. 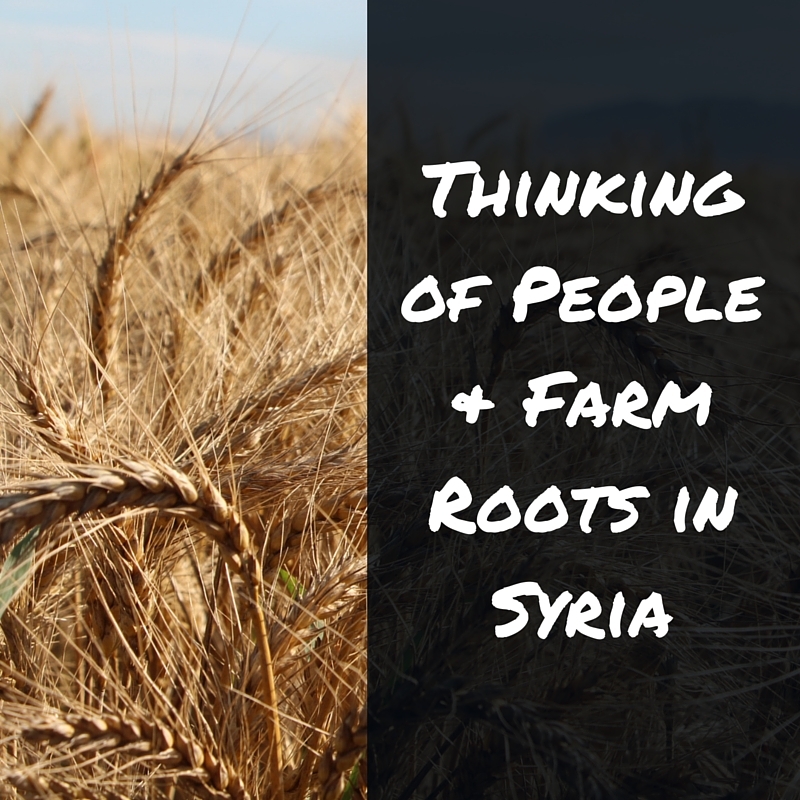 Syria has been forced to make the first withdrawal from a global seed bank to replenish local supplies. 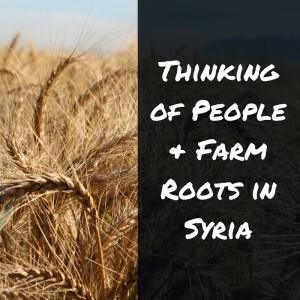 An unlikely fallout of the civil war, the withdrawal will see 130 boxes of seeds first deposited into the vault by Syria returned to the Middle East. The seed bank in Syrian city of Aleppo was a hub for growing seeds and distributing them across the region before the war. The facility is no longer producing seeds and, while it is still storing them, the International Centre for Agricultural Research in Dry Areas (ICARDA) has requested the return of 130 of 325 boxes it had deposited in the global vault. The total supply of 325 boxes contained 116,000 samples. I knew of friends who watch for regular updates from family that get delayed due to communications issues. I had heard about the destruction of incredible historical artifacts…. Things about the cradle of civilization just disappearing. And even though I have thought a lot about the impacts on that area’s farms & farmers, I hadn’t thought about the region’s seedbank… that it could be in jeopardy and that one of the plants submitted has such an incredible ability to thrive in drought and produce protein….. It all just has me thinking. What about you?